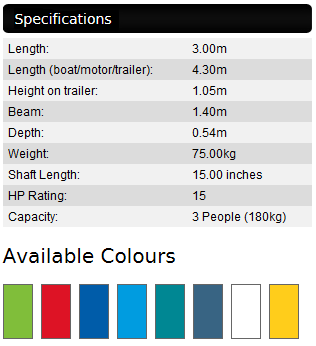 The Australian built 3.00 Tuff Tender was originally designed for use as a tender for larger craft and is a popular choice in this category as polyethylene is not abrasive against gel coated and painted surfaces. This great little dinghy now weighs just 75kg, can still accept a 15hp outboard and comes with a four year warranty. Due to the Tuff Tender's awesome stability and safety attributes born from its dual skin and tri hull design, it has become an increasingly accepted option for a marina tender & workboat or as a small fishing boat for protected waterways and freshwater impoundments.